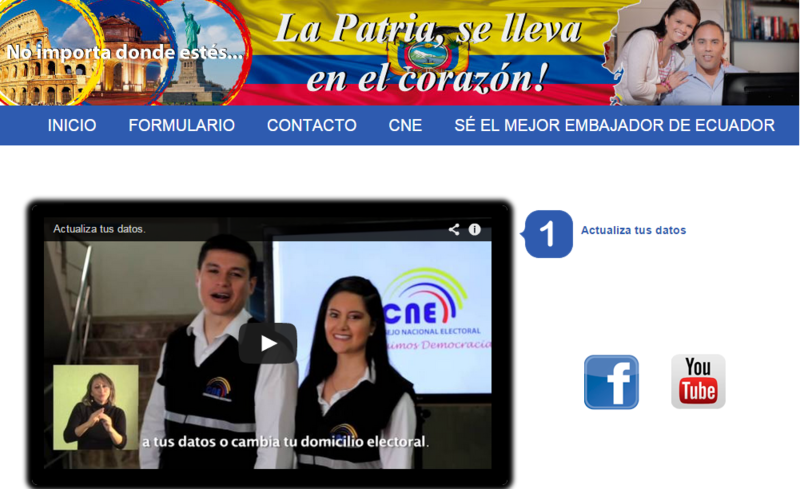 International campaign promoting voter registration for Ecuadorian citizens living in Spain, Italy, UK, Canada, USA and Venezuela. Creation of a website allowing online voter registration. Development of a Facebook application to encourage voter registration.